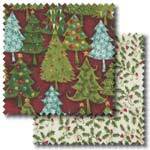 Pelenna Patchworks: Christmas fabrics by Makower and Moda now available! 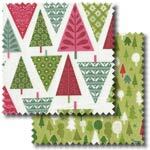 Christmas fabrics by Makower and Moda now available! Christmas has come early to the website, so there are no excuses for not being prepared this year! 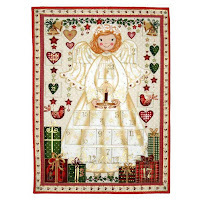 We have two ranges from Makower, the contemporary Modern Christmas patchwork fabric range and the more traditional Yuletide quilt fabric range. Also available are 4 different Christmas panels from Makower to make Advent calendars or Christmas stockings - perfect to hang up at Christmas to increase the excitement for little ones! The Advent calendars come with full instructions printed on the panel, and Makower have released this instruction video to make it even simpler. Finally in the Christmas theme we have two new Moda jelly rolls and layer cakes, the fresh winter themed Aspen Frost by Basic Grey, or the traditional seasonal Wintergreen by 3 Sisters.